Here you transfer funds from a traditional IRA to another traditional IRA, or from a Roth IRA to another Roth IRA. 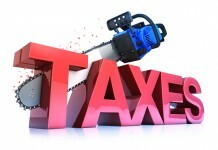 The way you make the transfer dictates how much work you will face when you do your taxes. When you ask your bank or other IRA custodian to do a direct transfer from your IRA account to another IRA account, the IRS does not require your bank to issue a Form 1099-R, which means that you do not have to report this transaction on your tax return. If you pull money out of one IRA account yourself, then redeposit the money into another IRA account within 60 days, you need to report the rollover to the IRS, even though you do not have to pay any taxes on it. The bank or custodian of the first IRA account issues you a Form 1099-R with the amount of the distribution shown in box 1. As long as you actually re-deposit the entire amount into another IRA within the 60-day time limit, you pay no tax on this rollover. You report the amount from Form 1099-R box 1 on line 15a of Form 1040, and then enter a zero on line 15b (the taxable amount). (Note that these line numbers may change in the future). In the margin next to line 15, you write the word Rollover to signal to the IRS that these funds were in fact subject to a tax-free rollover. Keep documents proving that you deposited the money in another IRA within 60 days. You do not have to attach proof of the rollover to your return, but you should keep the documents in your records, in case the IRS has any questions about the rollover. If you ask your employer to transfer your retirement plan account balance directly to an IRA account when you leave your job, your employer’s plan administrator will issue a Form 1099-R to you with the amount of the distribution in box 1 and a letter code G in box 7. This indicates to the IRS that you rolled the money in your retirement plan over to an IRA account. Even though this rollover is not taxed, you still need to report it on your tax return. Report the amount next to line 16, write the word Rollover. With a direct rollover, no tax is withheld from any part of the distribution that is paid directly to the trustee of the IRA (or other retirement plan). If you receive a distribution from your employer’s plan, your employer or plan administrator will withhold federal income taxes at a 20 percent rate even if you deposit (or intend to deposit) the entire amount of the distribution (not just the amount you received a check for, but an amount equal to the gross distribution amount before withholding) in the traditional IRA or other plan within the 60-day period. Your employer’s plan administrator will issue you a Form 1099-R, but the code will be something other than G.
Beware: If any part of that distribution is paid to you, that part is subject to 20 percent federal income tax withholding and you wind up with a check containing 80 percent of your retirement money. If you deposit (rollover) that 80 percent, guess what: you owe taxes on the other 20 percent, as if you had pocketed it yourself. You may even owe the 10% early withdrawal penalty tax. This is why it’s best to NEVER touch retirement fund when you retire but have one custodian transfer the money to the other. You have $10,000 in your employer’s retirement plan, and you leave your job. You request that the plan administrator issue you a check for the balance in your account. The plan administrator, however, must withhold 20 percent of your distribution as federal income taxes, so you receive a check for only $8,000. The other $2,000 is sent to the federal government just like your payroll withholding. After the shock wears off, you open an IRA account within 60 days and deposit your $8,000 check in that account. You are still taxed on the $2,000 that was withheld from your distribution check. Why? That amount was not rolled over into an IRA account, so it is considered a taxable distribution to you. The best thing to do in this case is to come up with another $2,000 on your own and deposit that amount into the IRA account within the 60-day period. This way, your entire $10,000 distribution is considered a tax-free rollover. What about the $2,000 of your money that the government has? You will report this as withholding on your Form 1040, and if you are otherwise paid up tax-wise, you should get that back as a refund when you file your return. Note: There is no withholding on distributions expected to be less than $200 for the year. If you have money in a qualified retirement plan, such as a 401(k) plan, a 403(b) annuity, or a governmental 457 plan, you can roll over the distribution to any other such plan, if it is willing to take rollovers. Note: these plans are not required to accept rollovers; each plan has to choose whether or not to accommodate them. So check before you try. Examples of qualified retirement plans: 401(k) plans, 403(b) annuities, and governmental 457 plans. If you have an administrator transfer money from one qualified retirement plan directly to another retirement plan, the first plan’s administrator will issue a Form 1099-R to you with the amount of the distribution in box 1 and a letter code G in box 7. As with a transfer from a retirement plan to an IRA, you are required to report this rollover on your return. Report the amount from Form 1099-R box 1 on line 16a of Form 1040. Enter a zero on line 16b (the taxable amount). In the margin next to line 16, write the word Rollover. If you made the transfer yourself (in other words, you took the money out of the first employer’s retirement plan, then walked across the street and gave it to the second employer’s retirement plan, within 60 days), you must report that rollover in the same way. Just be sure to hold onto the paperwork that proves you did this within the 60 day grace period. There is a third alternative if you’re moving money from one employer’s retirement plan to another employer’s retirement plan: you can temporarily move the money to an IRA before moving it to another employer. You might do this if you don’t find a new employer within the 60-day time limit. If you inherited the account from a spouse, you may roll over most distributions from the inherited account to a qualified plan, 403(b) annuity, or a government 457 plan in which you participate. You can now roll over distributions from an IRA to a qualified plan, 403(b) annuity, or government 457 plan, thanks to 2002 tax laws changes. But these plans are not required to accept rollovers; each plan has to choose whether or not to accommodate them. Are There Time Limits on Rollovers? You must contribute rollover funds to the replacement plan (either an IRA or another employer’s qualified retirement plan) by the 60th day after you receive the distribution from the first IRA or qualified plan. It is important that you meet this deadline. Money you contribute to a replacement IRA after that 60-day deadline is treated the same as a new IRA contribution, which means that it is subject to that year’s limit. If you’re moving any retirement funds other than IRA funds, do a direct trustee-to-trustee transfer. This way you avoid getting hit with federal income tax withholding of 20%. Gotcha #1: You cannot roll over an IRA account more than once every 12 months. However, if you look to your IRA accounts for liquidity (not recommended), there is a way to ease the “once every 12 months rule.” You can, in fact, lend yourself your IRA money year round, if you split it into pieces. Let’s assume you have $120,000 in an IRA. You could take the $120,000 IRA and split it into six $20,000 IRAs (using a trustee transfer as described above). You can take $20,000 from the first IRA. Within 60 days, you replenish that $20,000 by taking $20,000 from the second IRA and so on with the six IRAs. In this manner, you have extended the 60 day rule into the 360 day rule (6 IRAs x 60 days each) to give yourself almost a year round loan. Just be careful not to hold onto any IRA funds for more than 60 days or make a withdrawal from any single IRA more than once per 12-month period. Either violation will trigger the tax on your IRA and potentially a 10% penalty if you are under age 59 1/2. (It is wise not to rely on the bank for these rules. We have heard many example of bad advice. Please consult a qualified financial advisor or accountant). Gotcha #2: You must rollover the same property. For example, if you distribute $50,000 from an IRA and buy a stock, you cannot roll that stock back into an IRA within 60 days and claim a 60-day rollover. You must deposit the same property distributed. If you are retiring, it’s unlikely that you will use your retirement money to buy your first home. However, it’s possible you want to use that money to help the kids. Taxable distributions of up to $10,000 from your IRAs are not subject to the 10% additional tax (earlydistribution penalty) if the IRA owner or a qualified family member is a first-time homebuyer and, within 120 days of receipt, the IRA owner uses the amount to pay for qualifying acquisition or rebuilding costs for his or her own or qualifying family member’s principal residence. If the amount is not used because of a cancellation or delay in the purchase or construction of the residence, the amount may be rolled over to the IRA within 120 days instead of the usual 60 days. If you live in an area of the country where $10,000 would make a difference in the ability to purchase a home, let me know where that is—I’m moving! You may be asking yourself, “What if due to circumstances beyond my control, I don’t complete a rollover in 60 days? What if I get in an accident on day 59?” Don’t bet on it, but the IRS has waived the deadline for “good Samaritans” making a good faith effort. The Economic Growth and Tax Relief Reconciliation Act of 2001 permits relief in certain hardship situations. In Revenue Procedure 2003-16, the IRS provides guidance, effective for eligible rollover distributions received after 2001, for obtaining an extension of the 60-day period. The IRS can grant an extension when failure to waive the 60-day requirement would be against equity or good conscience, including situations where a casualty, disaster, or other event beyond an individual’s reasonable control prevented a timely rollover. The application procedure for relief is to obtain an IRS private letter ruling (PLR). On February 28, 2003, the IRS received a request for a waiver of the 60-day rollover requirement from a married couple who had hired an investment manager to manage their investments, including their IRA investments. Without their knowledge, the investment manager took several distributions of their IRA assets for his personal use. The couple became aware of these misappropriations, which resulted in taxable distributions to them, after the 60-day rollover periods had expired. They applied for a waiver of the 60-day periods because they felt a failure to waive the requirement would be against equity or good conscience. Their application also indicated that a rollover of the distributed IRA assets would not violate the 12-month rollover rule, as there were no distributions rolled over within the previous year. 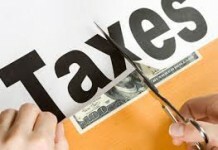 The IRS agreed and waived the 60-day requirement, allowing the couple 30 days to roll over the misappropriated amounts. If they met all other rollover requirements, no federal income tax or 10 percent penalty tax would apply to the involuntary distributions. Remember only a Private Letter Ruling recipient can rely on what the IRS decides. For the rest of us, PLRs provide insight to the IRS reasoning. In this case, it is good to know that there is a possibility of relief from a 60-day rollover requirement missed due to certain involuntary acts or hardships. In order to be considered for the waiver, you must submit an application for a private letter ruling (PLR) to the IRS and pay the applicable fee, which in 2005 is $95. The procedure for applying for a PLR is explained in the IRS publication Revenue Procedure 2005-4. 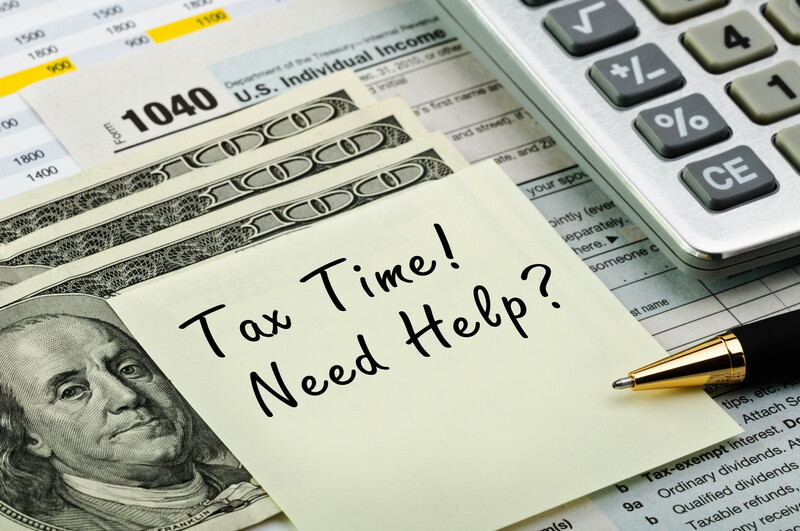 Any IRA owner who believes that he/she may be a waiver candidate should seek guidance from a tax or legal professional before filing an application with the IRS. Can I Do a Partial Rollover? Yes. Rolling over only part of the money in your retirement plan is called a partial rollover. Let’s say you were terminated from your job and you have your old company send you your $8,000 in retirement savings. You needed $5,000 of that to live on while you were searching for a new job. You did manage to get the remaining $3,000 rolled over into your new employer’s retirement plan within the 60-day time limit. The $3,000 you were able to successfully move to another plan in this partial rollover remains a tax-free transfer of tax-deferred funds. This is your partial rollover amount. 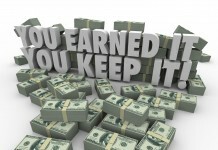 The $5,000 you did not roll over is taxable according to whatever rules govern the taxation of your retirement income. Basically this means that you’ll have to report the $5,000 on your income tax return. In addition, you’ll probably get hit with a 10 percent early distribution penalty on that $5,000 if you received the money before age 59 ½.
Rollovers involving SIMPLE plans are generally the same as rollovers from regular IRAs as long as the rollover occurs within two years after a contribution was first made to the SIMPLE IRA. During this twoyear period, distributions can be rolled over only to another SIMPLE IRA. If the amount you take out of a SIMPLE plan is deposited into a traditional IRA account within this two-year period, the distribution is not a tax-free distribution and the deposit into the traditional IRA is not a rollover contribution. What does this mean? 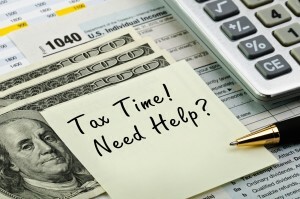 You are subject to tax on the distribution amount, and your contribution to the traditional IRA may be subject to limitations based on your adjusted gross income. After the expiration of the two-year period, you can roll over or transfer distributions from a SIMPLE IRA to a traditional IRA tax-free, or convert the SIMPLE IRA to a Roth IRA. As with traditional IRA accounts, you cannot roll over SIMPLE IRAs more than once every 12 months.